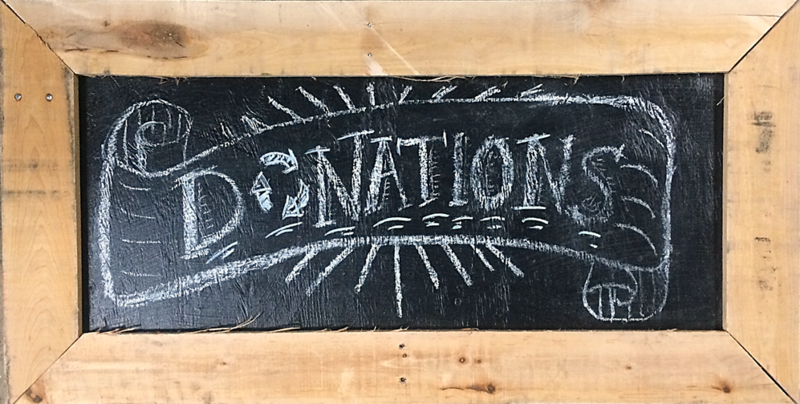 Here at the Forklift, we are proud of our Community Building Blocks program, which offers small grants of store credit and loans of materials to other non-profits and local groups doing great work. We get especially excited when our borrowed items take on a new life! “Here’s a great Gala Story for you…. The Friday before the Rhythm of the Night: Joe’s 2016 Annual Gala this weekend, two Joe’s Movement Emporium staff members headed over to Community Forklift – Nonprofit Thrift Store For Home Improvement looking for an eye-popping centerpiece for the theater. They found a chandelier that the kind folk over at the Forklift let them borrow for the weekend. Back at Joe’s they laced the chandelier with handmade ‪#‎upcycled‬ flowers and the tech staff hung it complete with tiny flameless tea lights. 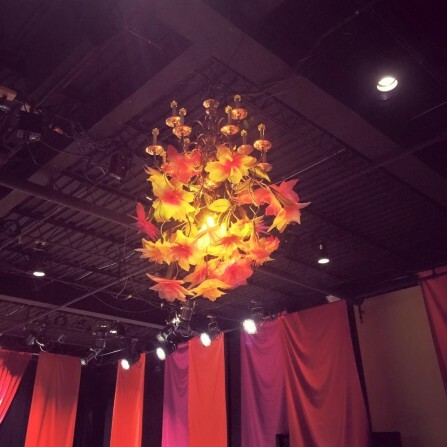 The piece was such a successful jaw-dropper that one of our favorite Joe’s movers and shakers (meet her and her hubby here on Vimeo) is going to buy the chandelier from the Forklift in order to have it, complete with flowers, as a centerpiece for a private event coming to Joe’s in April.